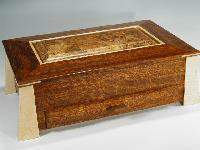 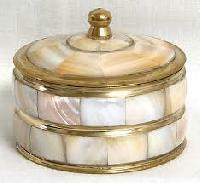 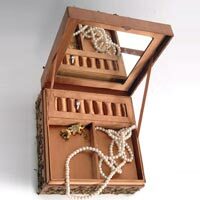 We offer hand made wooden designer jewelry box, with pearls sticking and painted by hand. 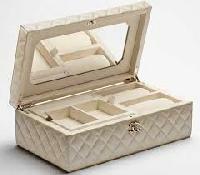 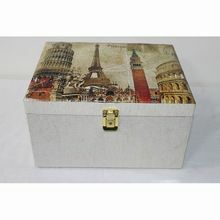 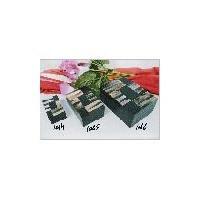 A long life product, our Designer Jewelry Boxes are the best to use while travelling. 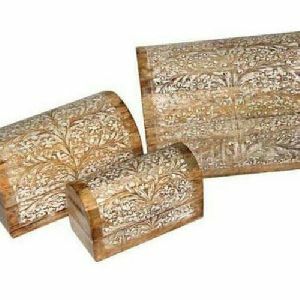 Supported by an industrious network, our organization is able to serve to patrons all over Udaipur(India) and other marketplaces without problem. 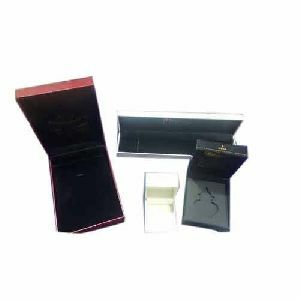 Keeping in consideration the latest standards, we are involved in supplying only high quality Designer Jewelry Boxes at reasonable prices. 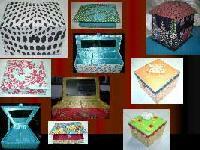 We are offering designer jewellery box (06). 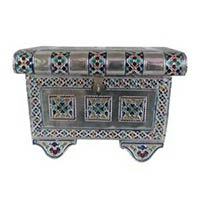 the designer jewellery box, which we provide, is made by skilled artisan using the finest materials. 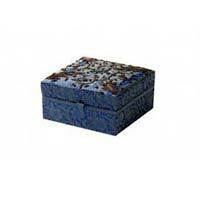 the company is a prominent designer jewellery boxes manufacturer, exporter, and supplier in india. 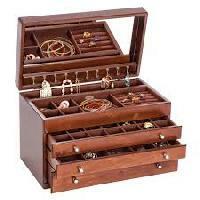 We are offering Designer Jewelry Box. 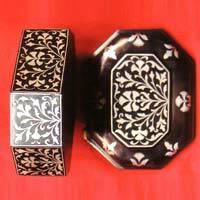 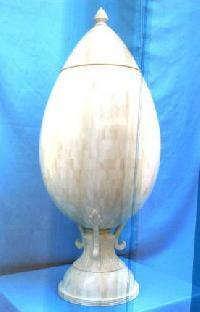 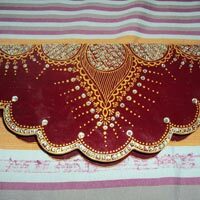 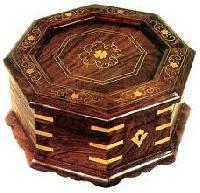 The company is a respected wooden handicrafts manufacturer and supplier based in gujarat. 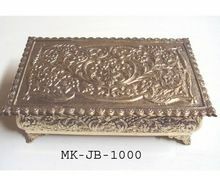 Our range is inclusive of jewelry box, bangle box, mukhvashdani, dry fruit box, handicraft steel products, glass, jug, serving try, pooja thali, ghee pot, kankavati, book stand, pen stand, bajoth, bethak . 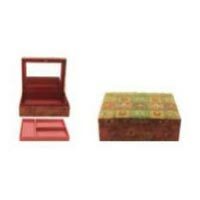 Mainly supplying the Designer Jewelry Boxes in Karnataka, we offer the range in various shapes and sizes as well as differing quantities. 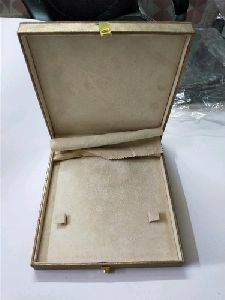 As a Manufacturer and Supplier of Designer Jewelry Boxes, we ensure immaculate designing and detailing of the range, while providing strength and longevity to it. 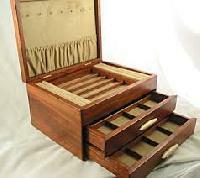 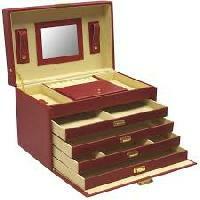 Made using the best-grade wood, the Designer Jewelry Box is a classic storehouse for the precious jewelry. 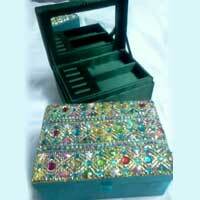 Clients can avail a comprehensive assortment of Designer Jewellery Boxes . 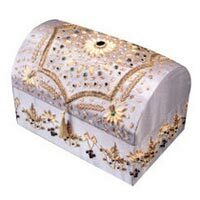 The range of Designer Jewellery Boxes, offered by us, is available in several designs and patterns to meet the varied requirements of clients. 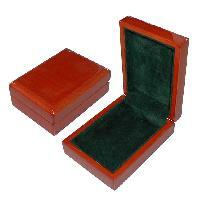 Our range of Designer Jewellery Boxes is available in various dimensions and weights. 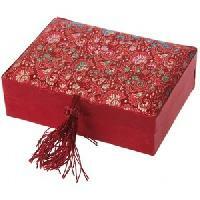 These Designer Jewellery Boxes are suitable for presenting as a wedding gift. 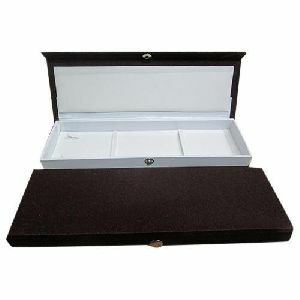 Jewelry boxes are a necessity when it comes to selling jewelry. 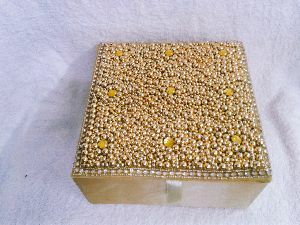 The need for selling the jewelry in beautiful boxes is inevitable and also this way one can indirectly promote the brand. 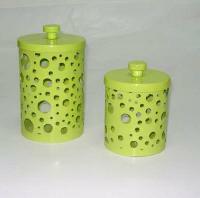 It is a complimentary piece for the customer, accentuating the rich sales and services you provide to the customers. 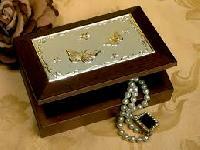 Designer Jewellery Boxes are used for keeping the precious jewellery items safe and secured from oxidation. 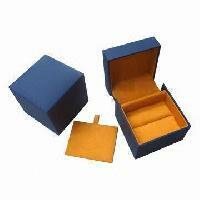 We offer Designer Jewellery Boxes in captivating designs and valued for durability, excellent finish and amazing craftsmanship. 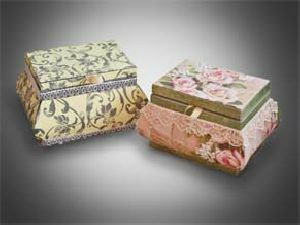 These Designer Jewellery Boxes are available in different sizes, designs and thicknesses along with a lid closure to make them complete.